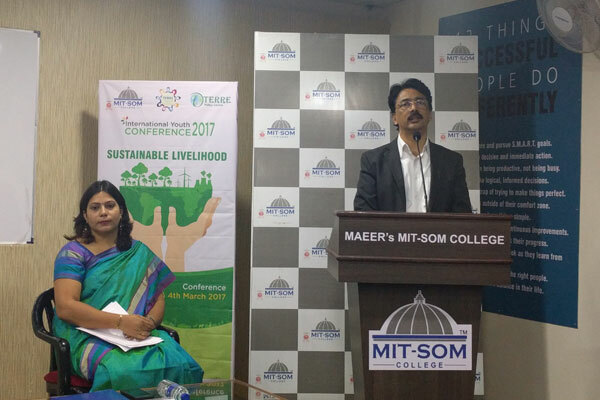 MIT-SOM College in association with TERRE Policy Centre, Pune had organized International Youth Conference 2017 on Sustainable Livelihood on 3rd and 4th March 2017. 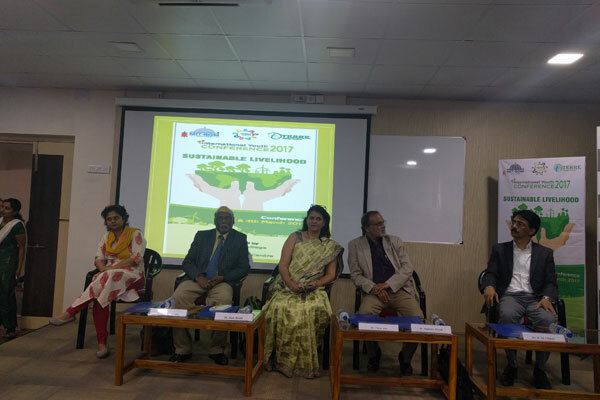 The guests comprised of Mr. Ram Boojh, National Programme Officer(UNESCO), Dr. Durai Swami, Director Ozone(MOEFCC),Ms.Rupa Dawane, Environment Consultant(JSU) foundation. 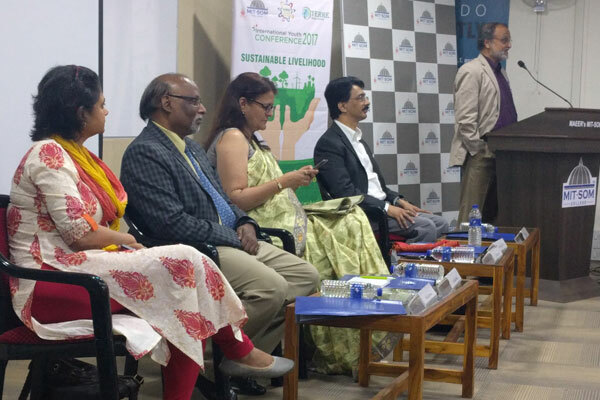 The Conference was presided over by Dr. R.M.Chitnis, Principal MIT-SOM College, Dr. Vinitaa Apte, President TERRE Policy Centre, Pune. 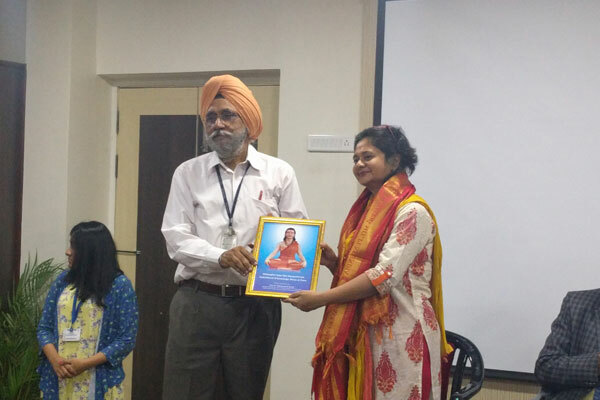 The chief guest of the conference was Mr. Rajendra Shende. Mr. Shende is a former Director at United National Environment Programme and is a leading expert in sustainable technologies and policies. He also heads Paris based Ozone Action Programme of UNEP. All together 15 papers were presented on different topics like waste management, biodiversity, energy efficiency, climate change. 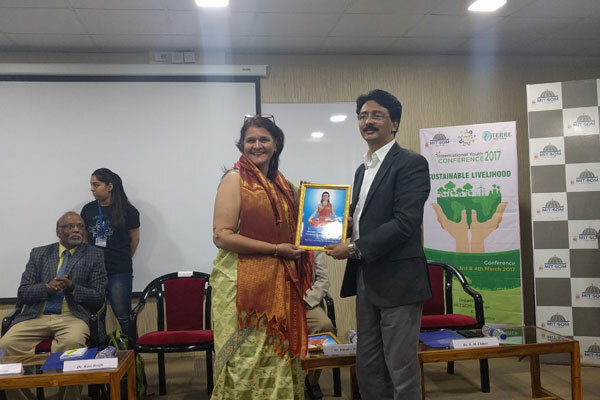 This is a consecutive 4th year MIT-SOM College is organizing the conference on Environment to create awareness amongst the students on Environment.